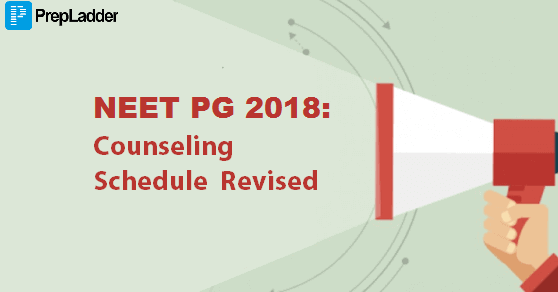 As per the latest updates from MCC, NEET PG online counseling schedule for second round of counseling has been revised. Now, the second round would begin on 11 April’18 which was earlier scheduled to begin on 6 April’18. We would like to share with you all the revised dates of counseling so as to keep you updated with the latest information. You can also go through the revised notification on the official website.